Looking for a New Honda Civic Type R in your area? CarGurus has 1,103 nationwide Honda Civic Type R dealers with 1,254 new car listings. Last year marked an exciting introduction into the U.S. market for fans of the Type R Hondas. Aside from a limited run from the Integra, the only exposure Type R’s received here was from the entertainment industry. At last, though, Honda has brought a Civic Type R to America. 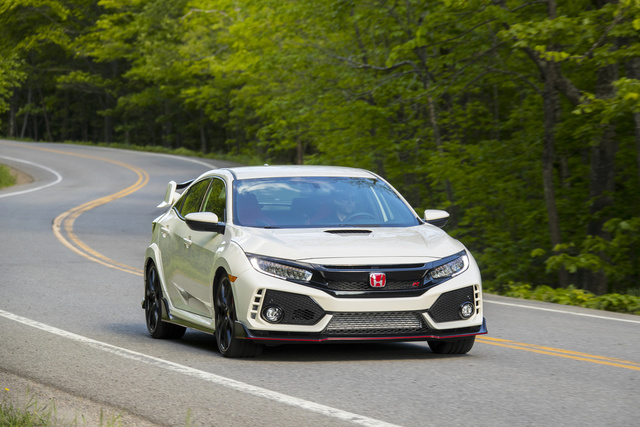 For 2017 Honda delivered a one-two punch with an intriguing new Civic Si and, finally, a Type R. The new Civic is an absolute rocket: in 2017 it became the quickest front-drive car in the world around Germany’s famous Nurburgring. Since the model only just debuted for 2017, it goes into 2018 largely unchanged. Unlike the rest of the Civic range, the Type R is a hot hatch that doesn’t have a dizzying amount of options to choose from. The engine is a 2.0-liter 4-cylinder with a turbo VTEC that makes a whopping 306hp with torque to match, unlike previous hot Hondas which have been traditionally peaky with a narrow power band. The new Type R makes 295 lb-ft, and can get from 0-60 mph in 4.9 seconds. 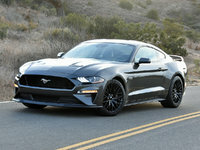 The power goes to the front wheels through a good-old-fashioned 6-speed manual gearbox topped by a handsome aluminum shift knob, getting 22 mpg in the city and 28 mpg on the highway. Unlike the old VTEC screamers that redlined at 8,000 or even 9,000 rpm, the new Type R doesn’t sound quite as angry, only revving up to 7,000. Despite weighing 3,100 pounds, the Type R is a sharp handler due to its standard 20-inch tires combined with stiffer springs, dampers, bushing, and sway bars. It will pull 1.02 g of lateral grip, and Honda’s dual-axis strut front suspension reportedly just about eliminates the torque steer that plagues front-drive performance cars. A helical limited-slip differential is also standard. In addition to the Boy Racer spoiler, body kit, and hood scoop, the Civic Type R is pretty wild on the inside, too. Red accents line the familiar and practical space Civics share without passing the threshold of excessive. It has 25.7 cubic feet of cargo room in the back and 46 with the rear seat folded down. As for convenience features, the Type R essentially mimics the Civic Touring package trim with LED headlights, dual-zone automatic climate control, a navigation system, and an upgraded audio system and both Apple CarPlay and Android Auto capability. The latest generation Civic has gotten top scores all the way around in both the National Highway Traffic Safety Administration and the Insurance Institute for Highway Safety crash testing. For decades, the appeal of hot Hondas has been that they make great all-arounders. Fun to drive, reliable, practical, fuel efficient and affordably priced, they do everything well without breaking the bank on a supercar. That seems to be the case once again with the Type R. While more expensive than some of the entry-level front-drive sport compacts, it’s quite a bit cheaper than the all-wheel drive performers that are arguably its true performance peers, not to mention a reasonably fuel efficient little car that makes for a great daily driver. What's your take on the 2018 Honda Civic Type R? SHayat Well since the Honda Civic Type R as debuted in 2017 a nice looking car and we all know every where it is selling above MSRP that being said we are talking over $40K. With that price it does lack few things first, front brakes Brembo with drill rotors great but on the rear regular caliper that has been painted red with no drill rotor to match the front. Second, front seat awesome red suede with red seat belts but than the rear seat simple black cloth with just red stitch does not match the whole interior. Third, inner door panels should also flow with the front seat with red suede application but it does not reflect any thing there as well. Fourth in the engine compartment when you lift the hood no hood shocks for the comfort of customer and also the gap between the chassis and fender that you can literally see the plastic wheel well from there. It should be cover with some plastic covers like you find in Acuras. Acura TL A-spec with red leather interior is around $45K MSRP you can see the complete flow of that red interior everywhere as it seems Acura never cut corners where as in Honda particular Civic Type R it seems for the price you pay you are not getting what one should. Missing a lot of details. Just my opinion. Users ranked 2018 Honda Civic Type R against other cars which they drove/owned. Each ranking was based on 9 categories. Here is the summary of top rankings. Have you driven a 2018 Honda Civic Type R? Enter your zip to see incentives for a new Civic Type R in your area. 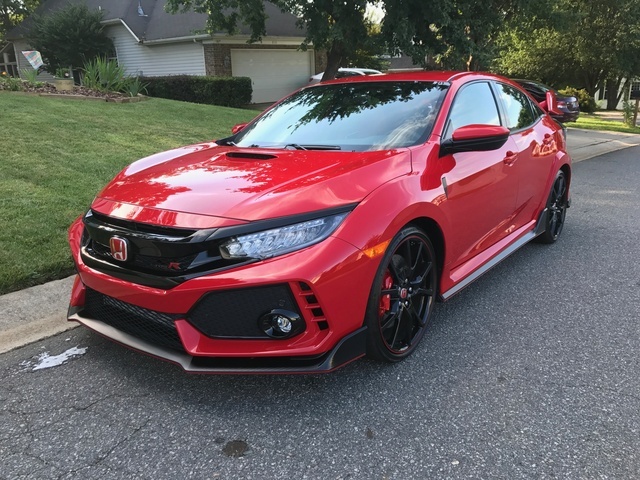 Looking for a Used Civic Type R in your area? CarGurus has 802 nationwide Civic Type R listings starting at $31,674.